Paul Montoya was shot by Rick Stockwell for a spread and a cover shot of New York's Next Magazine. The cover photo can be seen at right. Jeannie Sol will be singing at a benefit gala for the Ali Forney Center. The event will take place on Saturday, February 8, 2014 at the legendary Stonewall Inn, located in Manhattan's West Village. For more information, click here. The television series "La revista semanal" will start its third season on a new network. The lifestyle, entertainment and health series hosted by Ramón Hierro and Tony Rodríguez will start airing on CNN Latino in February. 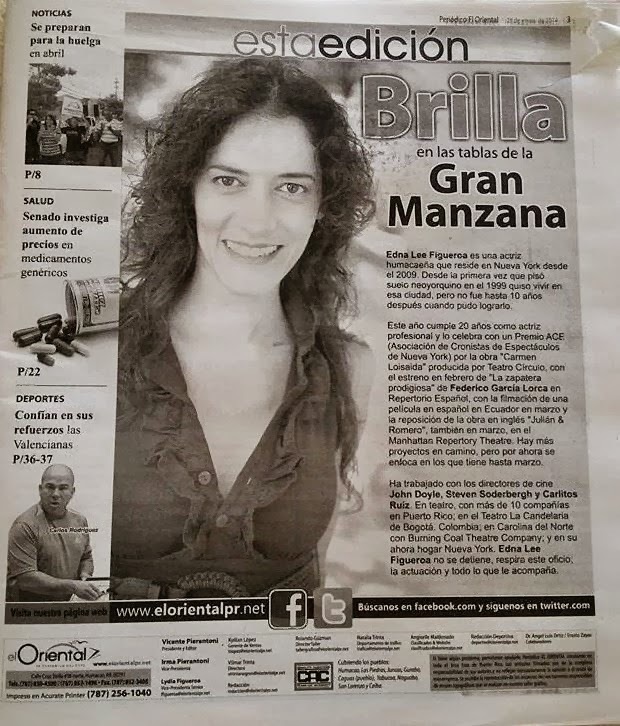 Edna Lee Figueroa was profiled in Puerto Rican newspaper El Oriental. To read the article (which is in Spanish), click on the photo at left. For more information on this award-winning actress, click here or here. Walter Krochmal finished acting on the film Thanksgiving Day (produced by Rick Davis and written and directed by Raven Williamson). The film is scheduled to be released in spring 2014. Carlos Carrasco wrapped up work on the PBS film A Robot Walks Into A Bar (written and directed by Alex Rivera). 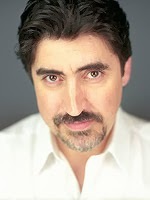 In addition, he booked a role on "Gang Related" (Fox) and a mutlti-episode arc on "Looking" (HBO). Tony Plana and Lauren Vélez will be starring opposite Armando Riesco in Quiara Alegría Hudes's play The Happiest Song Plays Last. Directed by Tony Award winner Rubén Santiago Hudson, the play is the third and final part of the playwright's Elliot trilogy (the first two plays are Elliot: A Soldier's Fugue and Water By The Spoonful). The production is scheduled in February and March at Second Stage Theatre (located in the theater district of midtown Manhattan). For more information about this production, click here. Teresa Yenque, shown at right, did a guest-starring gig on "Law & Order: Special Victims Unit" (NBC), where she worked opposite Danny Pino and Ice-T. The episode will air on Wednesday, Janaury 29, 2014. Carlos A. González will do a standup comedy set on Thursday, January 30, 2014 at the Jazz on the Park Hostel in Manhattan's Upper West Side. Repertorio Español is presenting a production of Federico García Lorca's La zapatera prodigiosa. Directed by Andrés Zambrano, the production will premiere in February at Repertorio's namesake theater in Manhattan's Rose Hill district. The production will start Gerardo Gudiño, Edna Lee Figueroa, Pietro González, Zulema Clares, Mario Mattei, Mariana Buoninconti, Jerry Soto and Emma Segnini. For more information, click here. Marco Antonio Rodríguez will be directing Oscar Montero's play Las rutas de Julia de Burgos. The production will run in February and March at Lehman Stages Studio Theater in the Bedford Park area of the Bronx and will star Juan Carlos Díaz, Dalia Davi, Sol Marina Crespo, Yaraní Del Valle Piñero, Elena Hurst and Carlos A. Valencia. Edison Carrera can be seen starring in Mo Zapata's short film Empanadas. The film will be screened on Wednesday, March 5, 2014 at the Queens World Film Festival (its New York premiere) at the Secret Theatre in the Long Island City area of Queens. For more information, click here. On Monday, January 27, 2014, the National Association of Latino Independent Producers (NALIP), Tío Louie, the Hispanic Organization of Latin Actors (HOLA), and the New York Chapter of the United Latino Professionals of New York (ULP-NY) presented the January edition of the Prime Latino Media Salon. This particular edition took place in a new location, the tapas bistro bar Alquimia, located in the Hell's Kitchen area of Manhattan just a few blocks away from Times Square. This month's theme was "Alternatives: Programming Channels & Music". The evening started out, as is the Prime Latino Media Salon custom of a relaxed social atmosphere where one can easily network in the room among actors, filmmakers and other multimedia-makers. The program then started with the master of ceremonies, Louis Perego Moreno (more commonly known as Tío Louie) interviewed actor-filmmaker Laura Gómez. Tío Louie and Laura spoke about her career, from being born in New Jersey and raised in the Dominican Republic (where she trained as an actress), to her wanting to make work for herself and others by venturing into filmmaking. Her first short film, To Kill A Roach, has hit numerous film festivals worldwide and won awards along the way. Her upcoming short film, Hallelujah (of which a clip was shown), is about to embark on the film festival circuit as well. 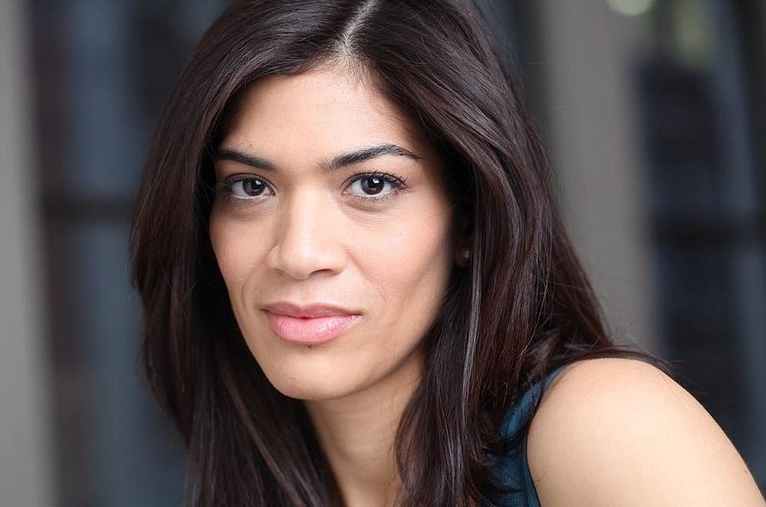 Finally, she discussed her latest acting gig, the recurring role of Blanca Flores (also known as #DiabloGirl on Twitter) on the wildly popular Netflix series "Orange is the New Black", for which she just wrapped up her second season. After another networking break, Tío Louie introduced Haitian-Dominican actor-voiceover artist-singer-composer Jean-Marc Berne, who regaled the crowd with his guitar strumming and four original songs (including one instrumental). He spoke of using his music towards scoring films and/or using his songs in films. The evening ended with music and disco lights and good cheer as people gave each other long goodbyes. Or goodbye at least until the next Prime Latino Media Salon. 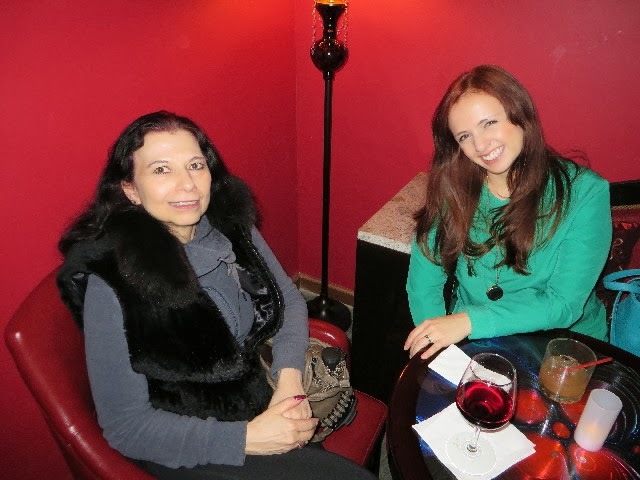 Alicia Kaplan, shown at right, just completed acting work on two projects– the feature film 224 (directed by Heidnaldo da Silva) and the comedy pilot "Open House" (written by and starring Andrea Mezvinsky and directed by Larry J. Strong). Judy Torres recently performed her hits (including her new single "Beautiful Life") at Blackthorn 51 in the Elmhurst area of Queens, where she performed on the same bill as Noel, Soave and Lydia Lee Love. Her new single was also featured in the Top House Music blog. To read more about it and to listen to her single, click here. For more information on her music, click here. TEBA will be presenting Sueños y sombras de Lorca. Based on the texts of Federico García Lorca, the production will be part of the 4th annual Theater Festival of the Comisionado Dominicano de Cultura en EEUU in March at El Comisionado's theater space in the Washington Heights Neighborhood in Manhattan. The production will be directed by Raúl Rivera and star Héctor Luis Rivera and Kathy Tejada in the cast. For more information, click here. 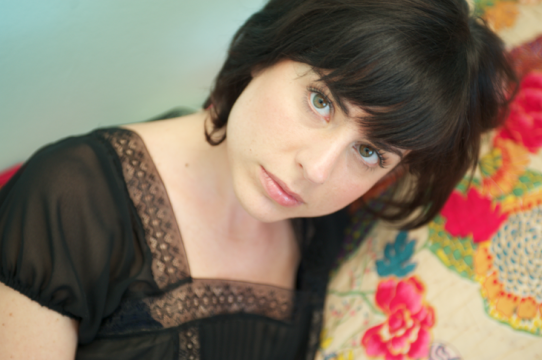 Singer-songwriter Allison Strong will be performing at Mexicali in Teaneck, New Jersey on Tuesday, January 28, 2014, where she will open for Teddy Geiger. Matt Antar is teaming up with his brother Ben Antar to create the music group Mantar & Bantar. To take a listen to some of the self-penned songs, click here. To find out more about los hermanos Antar, click here. “If you can’t find work, make it yourself.” Meet two people who have done just that. Laura Gómez has produced her own short films showcasing her work as an actor and she’s now wrapping a second season on Netflix’s "Orange is the New Black". Netflix is already more popular than any other subscriber service — HBO included — and has 33.4 million subscribers, redefining where series are being delivered and how they’re viewed – a new avenue for producers and actors. 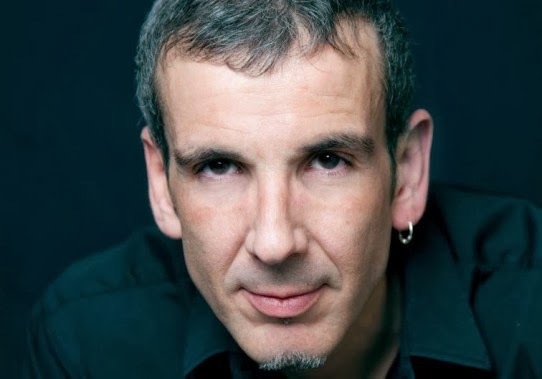 Jean-Marc Berne was composing & performing music for himself and his brother (a recording artist); and is now scoring music and tapping into his extensive catalog for films. 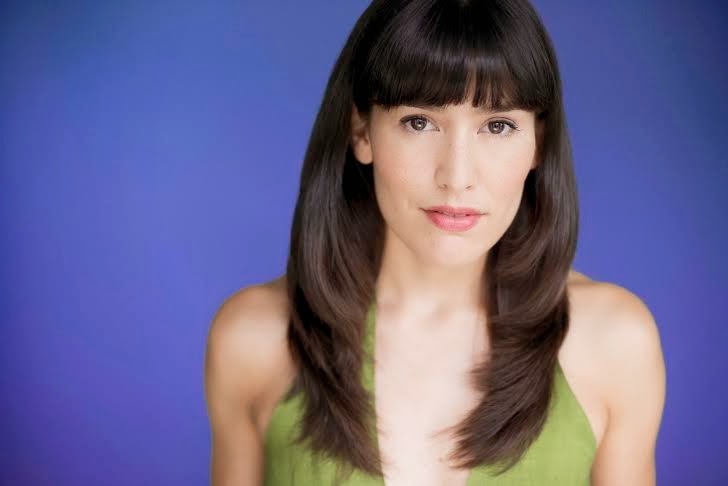 8pm – Fireside Chat Interview: Laura Gómez, Actor, Producer & Asst. Dir. 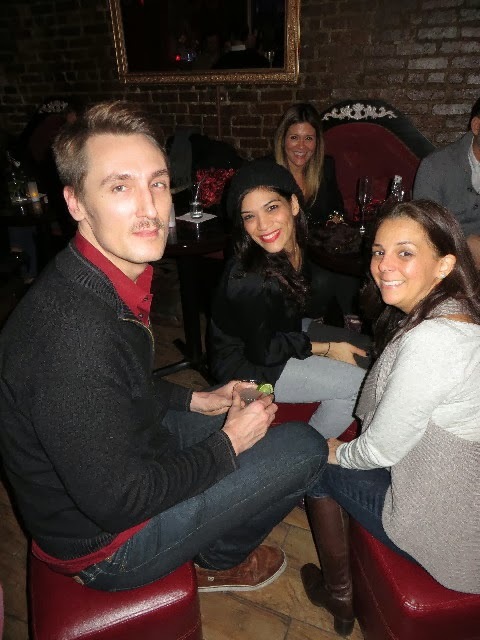 Venue & location: Alquimia (Bistro Bar), 506 Ninth Avenue, between West 38th and West 39th streets, NYC. Food and drink available at cash bar. 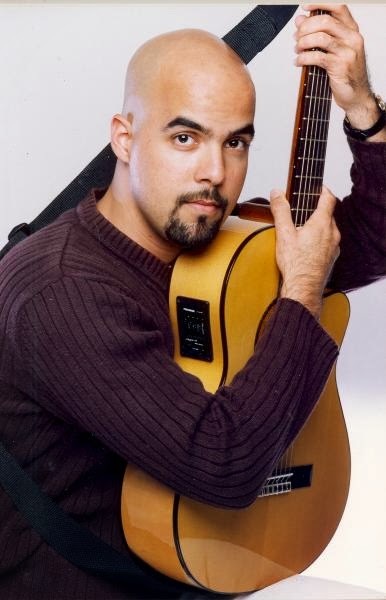 A bilingual songwriter with an extensive catalog of over 100 original songs in both English and Spanish. 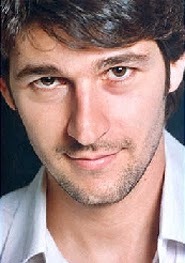 His song “One Way Street,” won The Punisher Video Game Contest, earning him and his brother Alex Berne a spot in “The Punisher” video game soundtrack in 2004. In September 2006 the song “Canta por ella,” co-written with his brother Alex, was published by Bad Boy Latino. He composed music and wrote the lyrics for “Atrévete a Más” ("Dare to Go Beyond"), R.Evolución Latina’s international fundraising campaign. 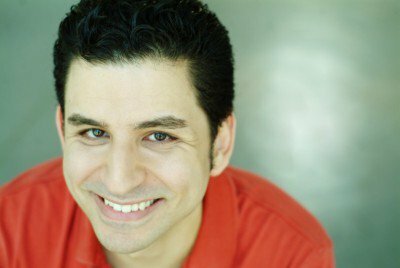 He’s a bilingual English-Spanish audio producer and voiceover coach, having produced radio, TV, and web commercials, as well as several audiobooks and documentaries. His latest song, “Joga Con El Corazón” (2013), is a tribute to the upcoming Soccer World Cup in Brazil, which has opened the possibility of licensing his song for a soon-to-be-released documentary. An Interactive Content Producer & Educator who for 32 years has owned Skyline Features, a bilingual multimedia and educational production company developing documentaries, television programming and advertising commercials featuring Latinos, Blacks, Women, Urban Youth and LGBT. He has trained 1,500 Latino & African American youth over 10 years to produce 70 documentary shorts. For documentary features he was the Producer/Director of Latina Confessions (2010) and co-producer of American Dreams Deferred (2013) on PBS. Luis Ávalos was born on September 2, 1946 in La Habana, La Habana, Cuba. 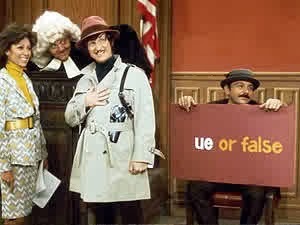 A character actor, he made numerous film and television appearances, most notably in the 1970s children's television show "The Electric Company". 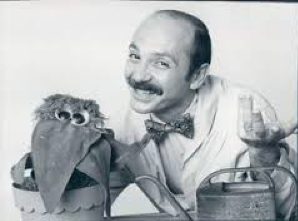 He joined the show (which also starred Bill Cosby and future Academy Award winners Rita Moreno, Morgan Freeman and Irene Cara) in season two, playing, most notably, Doctor Doolots, and stayed with the show until it ended in 1977. 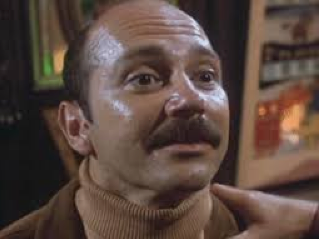 His most notable movie role was as Ramón in the 1979 comedy Hot Stuff when he starred alongside Jerry Reed, Dom Deluise and Suzanne Pleshette. Following that movie, he did a series of guest spots on television shows like "The Jeffersons," "Soap" and "Hill Street Blues". Ávalos also starred as Jesse Rodríguez on the short-lived situation comedy "Condo" with McLean Stevenson, and on the short-lived situation comedy "E/R" with Elliott Gould and Mary McDonnell, playing Dr. Tomás Esquivel. 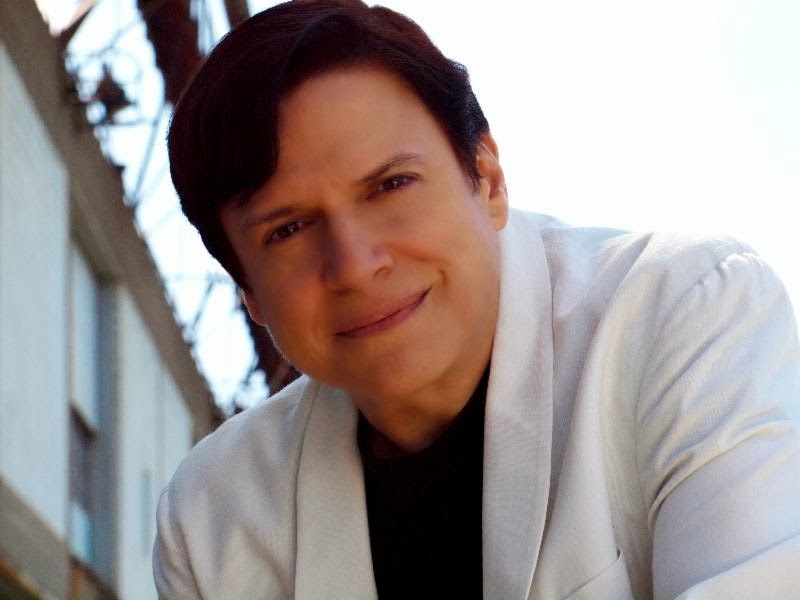 Other television credits to Luis Ávalos' name include "Jack & Bobby," "Full House," "Resurrection Blvd.," "NYPD Blue," "ER," "Hangin' With Mr. Cooper," and "JAG." His film credits include Jungle 2 Jungle with Tim Allen and The Ringer with Johnny Knoxville. His last film credit is a movie titled $5 A Day, which was released in 2008 and starred Christopher Walken, Alessandro Nivola, Amanda Peet and Sharon Stone. He passed on January 22, 2014 in Los Angeles, California, USA as a result of heart disease (he had suffered a heart attack a few weeks before his death). He leaves behind his partner Ángel Fedo. 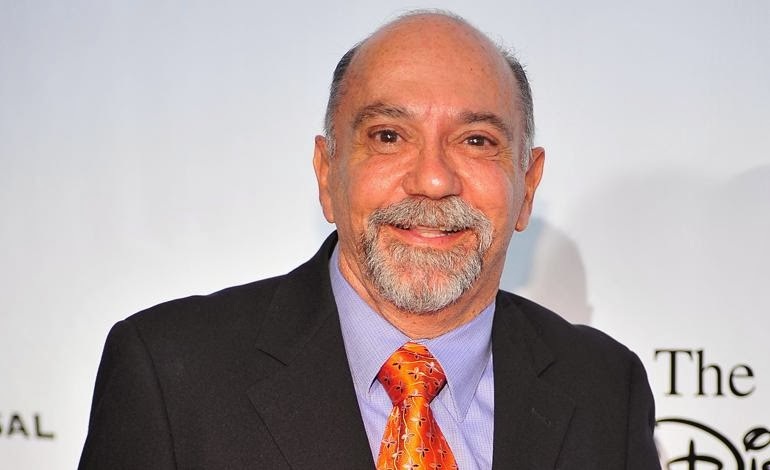 To read a touching, personal tribute by his friend, "HOLA L.A." talk show writer and Latin Heat blogger Elia Esparza, click here. 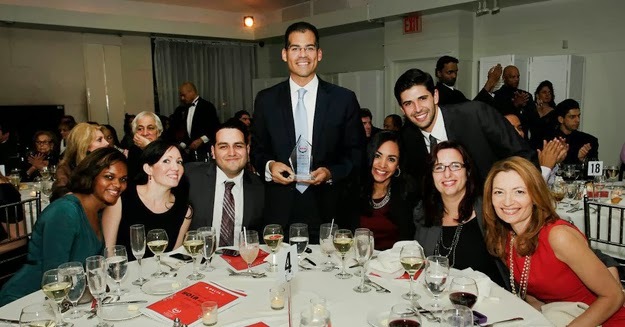 Staffers of HOLA Award-winning NBC Latino. Adrián Carrasquillo is shown, seated, third from left. Photo by Anthony Ruiz/ARuiz Photography. NBC shut down its website NBC Latino (after only 16 months of existence), merging it with NBC News. What does the ending of the award-winning website (winner of a 2012 HOLA Excellence in Media Award) mean for the future of Latino content creation supported by major organizations (in the case of NBC, a major television network)? Read this blog by Adrián Carrasquillo of BuzzFeed (and formerly an NBC Latino staffer) on his thoughts regarding the present and future status of Latino media by clicking here. 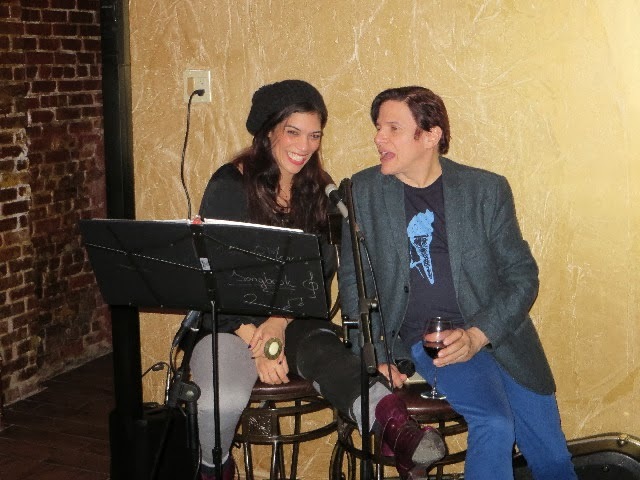 Pep Muñoz, shown at right, and Kelly Haran will act in Mar Gómez Glez's play 39 Defaults. Directed by Julián Mesri, the two-hander will be presented by Fifth Wall in January and February at The Club at LaMama E.T.C. in Manhattan's East Village. For more information on this production, click here. José Roldán, Jr. will be performing his self-penned solo show Father Forgive Me For I Have Sinned (directed by Dante Albertie) at The Network One-Act Festival on Wednesday and Thursday, January 29 and January 30, 2014 at The Network (located in the Fashion District of midtown Manhattan). For more information on this HOLA award-winning show, click here or here. TEBA (celebrating its 25th season of producing theater) and Compañía Hispana de Actores Sobresalientes (CHAS) are presenting Elektra XXXI, an adaptation of Electra, the classic Greek drama by Euripides. Presented in Spanish and adapted and directed by Emir Cruz, the production will be presented in March at the Broadway Blackbox Theatre (in Manhattan's Washington Heights neighborhood) and star Piedad Castaño, Kevin Pérez, Héctor Luis Rivera, Kathy Tejada, Raúl Rivera, A.B. Lugo, Agar García, among others. For more information about the production, click here (text is in Spanish). 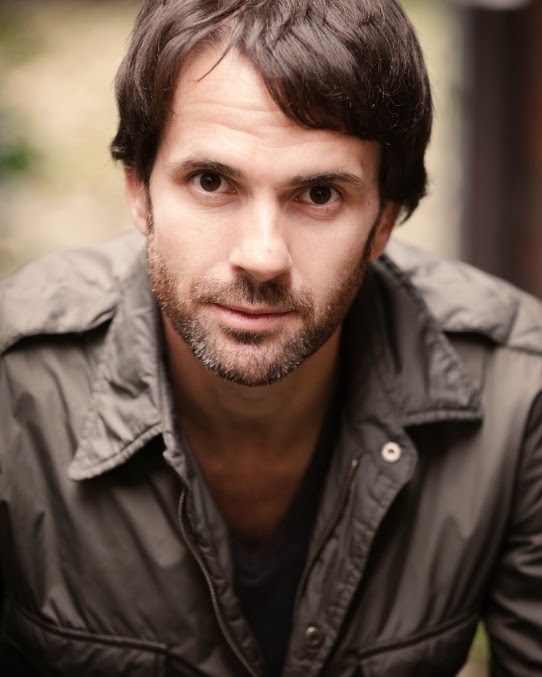 Marco Antonio Rodríguez booked a commercial for Tropicana Casino, which can be seen below. 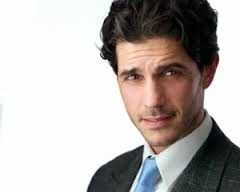 Martín Untrojb is the voice in Spanish for Starbucks. To listen to his mellifluous voice in a few commercials click on the videos below. Alfred Molina, shown at right, and John Lithgow star in the Ira Sachs film Love is Strange, which most recently garnered great buzz at the Sundance Film Festival in Park City, Utah. To read an interview with Mssrs Molina and Lithgow, check out Peter Knegt's article in Indiewire's Bent blog by clicking here. J.W. Cortés and Caridad de la Luz (the latter sometimes known by her nom de poésie et de musique La Bruja) are filming Daniel Hastings' feature Venus de Macho. For more information, click here. 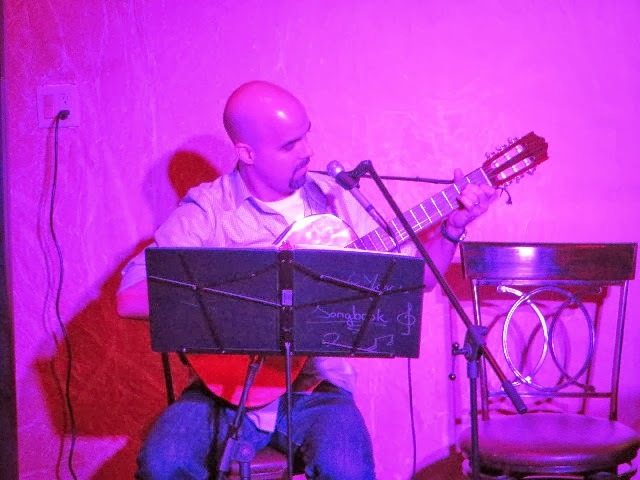 Éric-Dominique Pérez appeared for a second time in Puerto Rican newspaper El Nuevo Día (in its Sunday arts section "Adominguear"), where his self-penned solo show El Gringuito (directed by A.B. Lugo and assistant directed by Billy Martin Mejía) was highlighted as a pick of the week. To read the article (which is in Spanish), look at the photo at left (and click on it to make it larger). 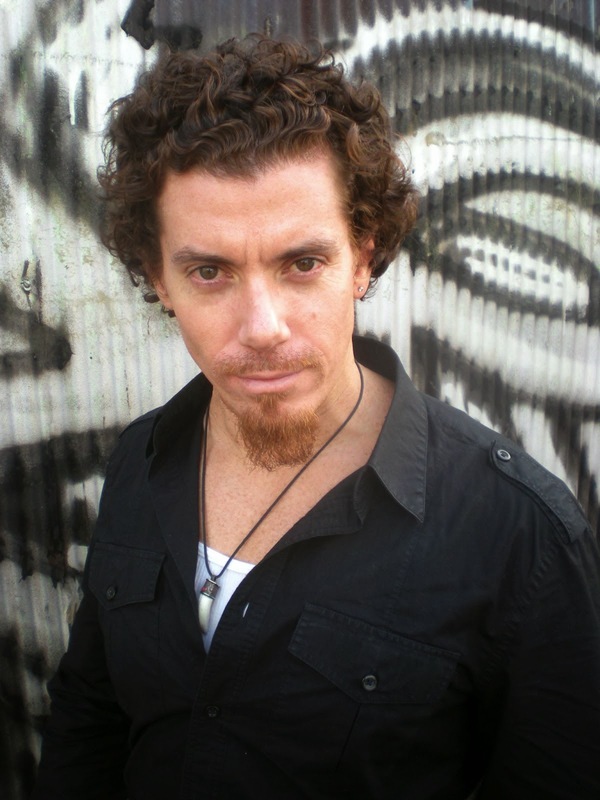 Kiki Mélendez will be presenting another evening of standup comedians titled Hot Tamales Live! The critically acclaimed and award-winning comedy show (which was seen on Showtime and can now be seen on Hulu Plus), will feature Meléndez as she presents comedians Amy Anderson, Vargus Mason, April Macie, Tiffany Haddish, Aida Rodríguez, Erik Rivera and very special guest Nadine Velázquez. The event will happen on Sunday, February 9, 2014 at the Inside Jokes Comedy Club, located in the Hollywood area of Los Angeles, California. For more information about the show and all things Kiki, click here. IATI Theater, in association with Artistas Españolas-New York/Spanish Artists in New York (AENY), just wrapped up a production of Alfredo Sanzol's Días estupendos. Directed by Ignacio García Bustelo, the play starred Ricardo Birnbaum, María Cuartero, Pep Muñoz, María Peyramaure and Xabi Soret (an all-HOLA member cast and director), and ran in January at IATI's namesake theater in Manhattan's East Village. For more information about this dynamic theater company, click here. (Above clockwise, from top left: actors Birnbaum, Cuartero, Muñoz, Peyramaure, Soret; director García Bustelo). Éric-Dominique Pérez, shown at right, is currently in Viejo San Juan for the Puerto Rican debut of his self-penned solo show El Gringuito. Directed by A.B. Lugo (and assistant directed by Billy Martin Mejía), the production is taking place in mid-January at El Corralón de San José as part of the Festival de la Calle San Sebastián. He made a second appearance (with Mr. Lugo)on the radio show "El Programa de Susa y Epifanio" on WAIC 740AM and was highlighted in the Puerto Rican newspaper El Nuevo Día. To read that article (which is in Spanish) or for more information about the production, click here and here. Michael Díaz (also known by his nom de comédie Juan Bago), shown at left, was featured in the popular Dominican blog Remolacha, where the recent viral video parody by Juan Bago and O, "Lotion Girl", was featured and highlighted. To read the blog (which is in Spanish) and to see the video (which is in English), click here. In addition, he booked a Jackson Hewitt commercial. For more information about Díaz and all things Bago, click here. Judy Torres received a review of her next single "Beautiful Life" from music blog Notable Dance, which dubbed it the "Song of the Day". To read the review (and to hear the single), click here. 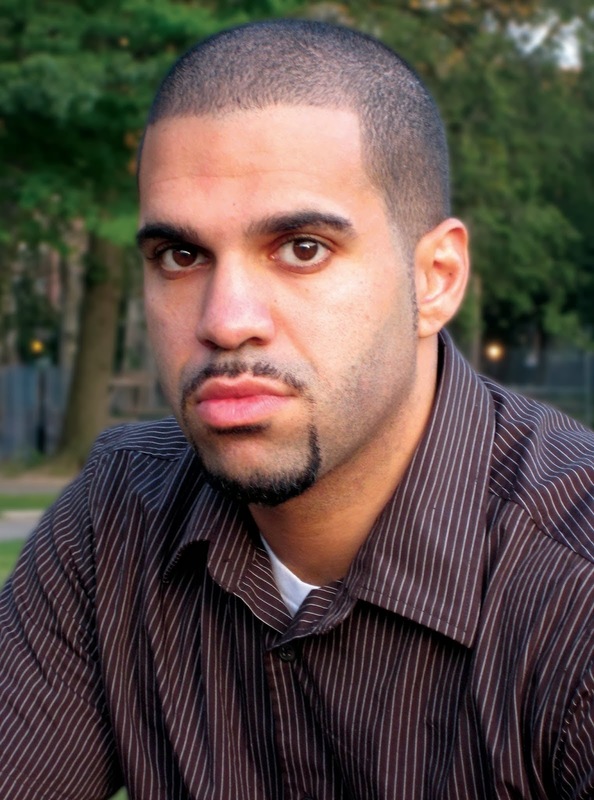 Modesto Lacén was mentioned in Diálogo Digital in a Spanish-language blog about Afro-Puerto Ricans and their presence in the media, particularly in Puerto Rican media. Titled "¿Dónde están los negros? ", it is written by Adriana de Jesús Salamán and can be read by clicking here. 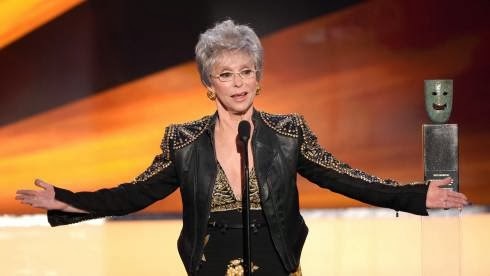 Rita Moreno received the SAG Award for Life Achievement last night. To get a quick sketch of the breadth and duration of this iconic, ageless performer, click on the first video below. To read an interview she gave to Variety just a few days before the SAG Awards, where she spoke about sexism, ageism and racism in Hollywood, click here. To read an interview she gave to Variety backstage after receiving her SAG Award, where she spoke on "living in the moment, at age 82, and loving it", click here. To see her speak to reporters backstage after her speech, where she dropped several bits of wisdom, click on the second video below. 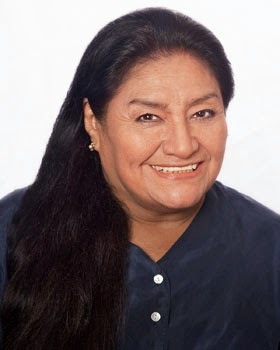 Ms. Moreno attended the HOLA Awards in 1999. HOLA shortly thereafter renamed an award the Rita Moreno HOLA Award for Excellence.